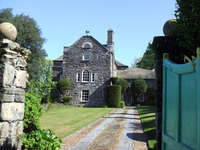 Set in 85 acres on a wooded mountainside, Maes-y-Neuadd is a 14th century manor house. 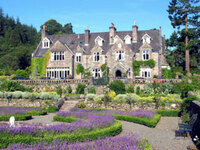 The grounds include a rockery, pond and 2 walled kitchen gardens that supply produce to the hotel restaurant. 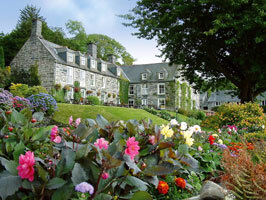 There are fine views across Snowdonia National Park. 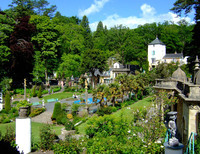 Gardens to visit while staying at Hotel Maes-y-Neuadd include Portmeirion Gardens (7 miles) Plas-yn-Rhiw Garden (32 miles) and Bodnant Garden (35 miles).